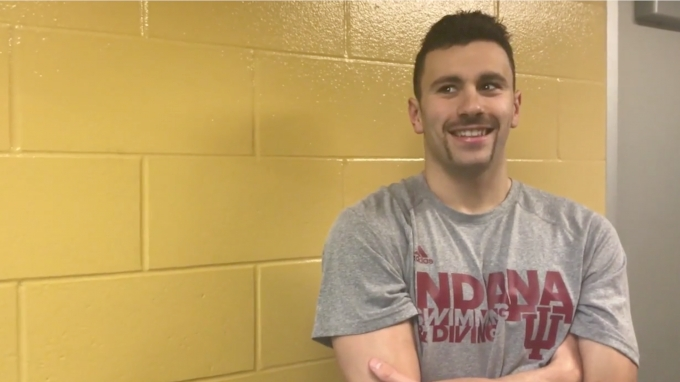 We're not sure what is better — Blake Pieroni's Fu Manchu or his 1:32 low unshaved, untapered 200 free at the Purdue Invitational on Nov. 17. Regardless, the Olympic gold medalist and budding U.S. national team star has his Indiana Hoosiers on a roll toward some big goals heading into the 2018 NCAA Championships. In the video interview above, Pieroni talks about team goals, individual goals, and his favorite event (hint: it's not freestyle).